With a field of 13 horses assembled, the Red Smith Handicap is an extremely attractive betting race. The 11-furlong distance means that this race will be contested around three turns, with a fairly short run into the first turn, which means post positions are far more important than usual. Assessing this race from a tactical standpoint, the horse who leaps out as the one most likely to get the run of the race is Exclusive Strike (12/1 on the morning line). He is drawn beautifully in post position number three in this huge field. There is a fairly good amount of pace for a race at this distance, and Exclusive Strike projects a dream trip as he should be able to save a lot of ground on the turns. In addition, jockey Jose Lezcano is at his best with these kind of covered-up turf trips on deep closers. Exclusive Strike was assigned a very good speed figure of 111 in his most recent race, when his trip was something short of ideal. Under today's handicap conditions, he gets in light at 116 pounds and is fairly competitive with these horses on bare form--without projecting trips and post positions into the equation. Morning line favorite Hyper is in the opposite situation. He's stuck out in post position number eleven and projects a wide and possibly even uncovered trip under the high weight impost of 120 pounds. Hyper's speed figures are good, but not good enough to justify 5/2 favoritism--even before factoring in post and projected trip. Hyper is a bad favorite, and we will be playing against him. Imagining, Sky Blazer, and Tannery are the three best exotic uses. Betting Strategy: Win bet on Exclusive Strike. Exacta Box of Exclusive Strike and Imagining. 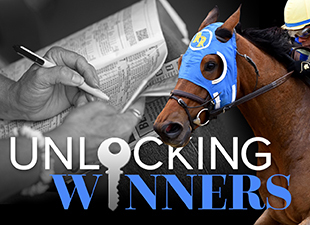 Key Exclusive Strike on top of Imagining, Sky Blazer, and Tannery in all exotic wagers. This is another fascinating betting race, with 13 three-year-olds scheduled to go to post in the Commonwealth. The most interesting horse in this field is River Seven (5/1 morning line). In his most recent start, he demolished a respectable field of older horses by 10 lengths at 10/1 odds and was assigned a startling speed figure of 115. That figure was so out of whack with his past efforts that it represented a new career top by 22 points. Obviously, the yielding ground played a huge part in the dramatic form reversal River Seven displayed last time out. It took him 1:38.81 to finish a mile over a turf course at Woodbine that was playing four full seconds slower than par because of the boggy ground. There is some rain expected for Saturday, according to early weather forecasts in Louisville. If the turf course turns out to be soft or yielding for this race, empty your pockets and load up on River Seven. He projects a good trip and will absolutely bury this field with a repeat of his last performance. However, if the turf is labeled firm, or even good, it's probably best to label him a boggy-going turf specialist and chalk up that giant effort last time as a fluke. Sure, River Seven ran admirably in his turf debut at a distance that was probably much farther than he wants to run, and maybe the cutback last time helped almost as much as the boggy conditions, but we simply must go in a different direction if the race is to be run on firm ground. Braveman is extremely enticing at his 50/1 morning line price. In his most recent start, he faced a field of similar ability and almost pulled off a 45/1 upset in what was just his second turf start. That performance came over firm turf, and, considering his gigantic odds, we have to be willing to take a chance and hope he can reproduce that type of effort. In a race where all of the short-priced horses have extreme knocks, we are left, simply enough, with a 5/1 shot who towers over the field on soft ground and a 50/1 shot who possesses an edge on fast ground. Betting Strategy: If the ground is labeled firm or good, bet Braveman across the board. If the ground is labeled soft or yielding, enthusiastically bet River Seven. The Sharp Cat features six two-year-old fillies, and, no surprise here, the two likely favorites (Be Proud and Georgia) are trained by Bob Baffert. What is more, the two Baffert fillies appear to have a corner on early speed, which complicates the pace analysis somewhat, since it is unlikely that Baffert would welcome the sight of his fillies duelling with each other in the early part of the race. In other words, the early lead in this race is probably going to be determined by the instructions Baffert gives his riders. Our best guess is that Georgia will end up on the lead, with her rider instructed to guard the rail, and that Be Proud will ease off the rail and take up a "first over" position to Georgia's outside, after which the two riders will try to slow the pace down and put a Baffert stranglehold on the proceedings, which will leave potential closers in the unenviable position of having to close three-wide into a slow pace and overhaul two horses who are more talented than they are. As far as betting races go, well, for us, this race doesn't go much at all. Be Proud has steadily improving speed figures and has handled synthetic surfaces in the past. She was no match for Georgia when the two met in a maiden race at Santa Anita in September, but this is Hollywood Park in November, and it would be no surprise to see Be Proud take another step forward today. She's a strong contender who will be a short price. Georgia raced decently in her debut, on Del Mar Poly, earning a speed figure of 75. Then she jumped to an 87 in the aforementioned maiden race. If she has further improvement in her today, she will be exceedingly hard to handle, and a mere repeat of her last race would make her a powerful contender. But her price figures to be even lower than Be Proud's. If there is going to be an upset today, Saintly Joan would seem to be the filly with the best chance of pulling it off. She broke her maiden with a hint of style, earning a speed figure of 80 at 7F, and she has a fine Pedigree Rating of 84 for today's synthetic route. Pleasant Miss is a viable candidate to slip into the trifecta inside the 1/16 pole.